found this basically by accident at a flea market in kobe. 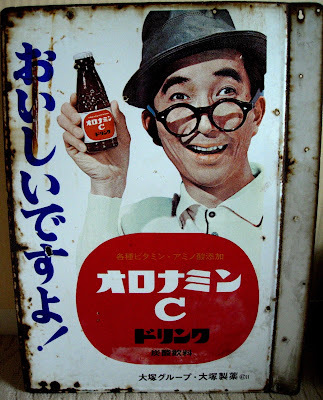 it's kon omura pitching oronamin c drink, circa mid-1960's. you can still buy the drink today at convenience stores.